In my household, we love subscription services. They are convenient and they are fun. I recently had the chance to work with FabKids! Fabkids is JustFab's newest fashion club, started by a team of parents including mom and actress Christina Applegate. This subscription service is fun! How does it work? Parents will get monthly selections of super affordable, high-quality fashions personalized for their kids.Make an account and sign in. You can also sign in with Facebook. The website will have you take a style quiz based on the styles and taste of your child. Your shop will be personalized to fit your child's style and you can start shopping! Outfits are $29.95 and styles start at $14.95. Another great thing about them is they have sizes 2-12! When you order, your box will be pink for a girl and blue for boys! I love how fun their boxes are. I also love how each piece comes packaged separately. The outfit that I chose to review for Lydia is completely adorable! It is their Color Crush Outfit! She LOVES IT. I got a size bigger than she usually wears so that she can wear it this coming school year. I love the outfit combo with the dress and shorts. The shorts were hidden because the dress is long. She will grow into it and it will fit better. I think it looks great how it is. All though the shorts are not showing- sometimes when a 7 year old girl plays, she forgets she is wearing a dress. Wearing them beneath will help her in a moment like that. Check it out- as I mentioned previously the Fab Kids subscription for outfits is only $29.95 but if you join- the first outfit is $15!!!! If you do not purchase this outfit in VIP0- It is $40! Pretty great deal if you ask me! Should you decide to go VIP, your outfit selection starts on the 1st of every month. You have until the 5th to skip or make a decision. You will be charged $29.95 on the 6th of the month, which will give you one credit to use on the website. One credit gets you an entire 2-piece outfit! That can add up every month you purchase! Overall, I am happy with my outfit decision for her. It is perfect for her and the concept of the website is great! 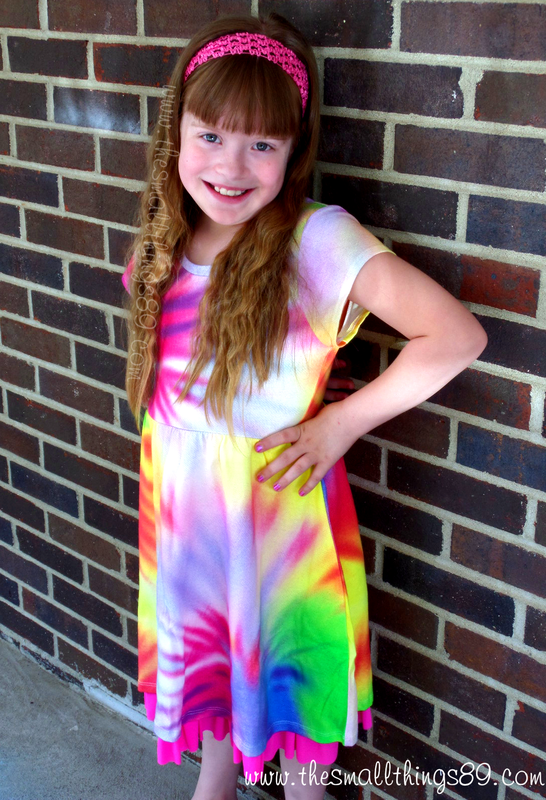 Check out the Fab Kids website for Outfits, Dresses, Shoes and More! They also have a Sale link to get great deals too! check out Fab Kids on their social media to stay up to date with the latest. You can also check out the Fab Kids Pinterest Giveaway that Fab Kids has going on right now! You will get the chance to win a wardrobe box! What do you say? Will Fab Kids be a shopping destination for kids any time soon? Cute! I've never heard of them before. I'll check them out! Thank you. Oh how colorful and fun!